Should Citibank Bail Out Citi Bike? Citi Bike is hitting some bumps in the road as NYC Bike Share, the operating company, struggles to meet revenue targets and deal with ongoing operational snags, according to recent news reports. As the popular New York City bike-share program — which, unlike most programs, does not use public money — approaches its first anniversary, NYC Bikeshare is seeking to raise $20 million through investors and sponsors to smooth out problem areas and eventually expand. But, despite the program’s popularity, new sponsors have reportedly been hesitant to jump on board, concerned that heavy branding from Citibank, the namesake corporate sponsor, on bikes and kiosks would drown out any real marketing opportunity. So, should Citibank, which -- lest we forget -- received $476 billion in bailout funds in the wake of the financial crisis, bail out the fledgling bike-share program in a good-faith CSR gesture? 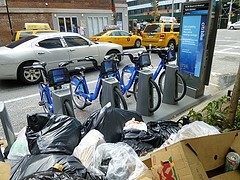 Or should NYC Bike Share shoulder the blame for poor management and revenue planning? The Citi Bike program raises revenue in three ways: membership/rental fees, advertising and sponsors like Citibank, which paid $41 million for program branding rights. While resident New Yorkers have been keen to sign up for access to the two-wheelers (annual memberships surpassed the 100,000 mark last month), tourist ridership, which generates more profit than annual passes, trickled to a halt during this year’s arctic winter. Besides lackluster temporary pass purchases, NYC Bike Share has had to deal with unexpected increases in costs from storm damage, as well as the high cost of redistributing bikes by truck to better match expected demand. Meanwhile, Public Bike System Co. (PBSC), the Canadian manufacturer of the bikes and kiosk software, filed for bankruptcy in January, and NYC Bike Share’s general manager resigned last month. All of this has amounted to what the city’s transportation commissioner, Polly Trottenberg, recently described as “a number of financial and operational challenges.” NYC Bike Share, a subsidiary of Portland-based Alta Bikes, is hoping to redress these with a new round of funding. The problem is, according to media reports, that potential new sponsors (understandably) don’t want to put money into a rolling Citibank advertisement. Mayor Bill de Blasio has ruled out public funding as an option for the program and has forbidden the operator to issue rate hikes until they sort out operational issues. Despite program hiccups, the Citi Bike program has been a runaway success from the perspective of its namesake global financial institution, which just failed a Federal Reserve stress test and is currently embroiled in a $400 million loan fraud scandal in Mexico. 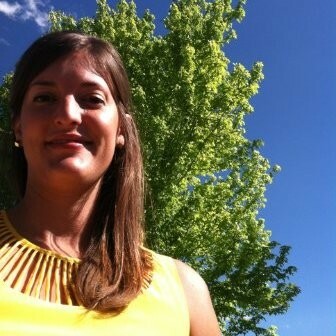 As Elyssa Gray, creative marketing director for Citibank, recently told Advertising Age, the company netted $4.4 million in earned (free) media coverage in the 10 months since launch. Citibank committed a total of $41 million over five years (equal to $8.2 million per year) to have its name and signature blue logo hue splashed across bikes from Brooklyn to the Upper East Side. The marketing move appears to have achieved its initial purpose, which was to turnaround negative perceptions of the bank following the financial meltdown that started in 2007. Citibank’s internal metrics suggest that it has achieved this aim: According to Gray, all marketing metrics tracked by the company saw a double-digit jump in the first three months after launch, including a 25 percent increase in “brand preference.” In the same April interview with Advertising Age, she indicated the company might even expand the bike-share advertising model to other cities. Citigroup drew $20.1 billion in revenue in the first quarter of 2014 with a net profit of $3.9 billion, up 4 percent from the same time last year. At the time of writing, there were no reports that the bank would be contributing additional funds to the Citi Bike program. Once we accept corporate marketing into the services we use on a daily basis, what responsibilities, if any, should those sponsors have in ensuring adequate operation of those services? Of course, program operators should be capable and held accountable for missteps, including, in this case, what may have been an undervalued sponsorship price -- considering the benefits Citibank has accrued and the difficulty of attracting additional sponsors. Nevertheless, highly visible branding should theoretically force sponsors to keep some skin in the game — if the program is a failure, it damages brand value. But it appears Citibank is already satisfied with the marketing results from an outstanding program start and has sufficiently distanced itself from the bike-share operator to avoid brand damage. Which begs the question: Once the sponsors have reaped the desired goodwill through a knock-out launch, how do you keep corporate partners invested in success when they have no motivating incentive?